My sister and I traveled to Scotland 2 months ago, and we spent our day touring about the country, which was a spectacular decision! I think we saved my favorite day trip for last, which worked out really well. 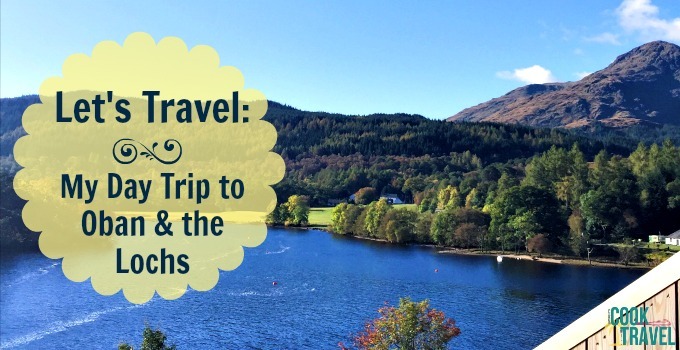 This third tour was our day trip to Oban where we also stopped by Loch Lomond, Loch Awe, and Inveraray. I love the water. It’s always so calming and everywhere on this tour we had gorgeous water sites. And this tour was my favorite of the trip for so many reasons. We had a small group of only 5 people, which allowed us to go off the beaten path a bit and see some stops we might not have with a larger group. Love that!! Our tour guide, Michael, was packed with knowledge and you could tell he loves his job. I have a soft place in my heart for Loch Lomond. So far I have visited this lake every time I’ve been to Scotland. It’s a huge, winding lake and is in fact the largest loch in all of the UK. 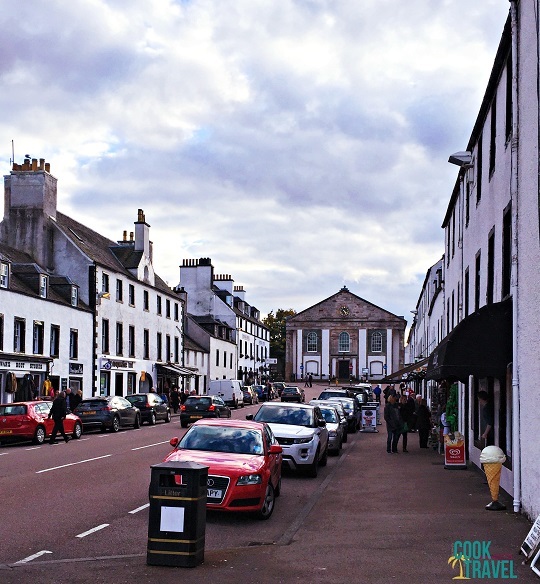 Our first stop on the trip was to a small town called Luss. Here we milled about grabbing a bit of breakfast and walking along the shore of the lake. It was a cool, quiet morning in Luss and the mist hadn’t fully lifted from the loch. Simply gorgeous. 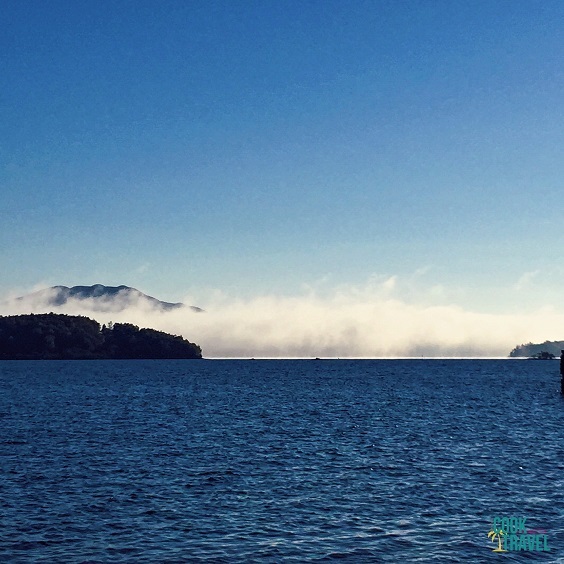 Isn’t it lovely as the mist is still on the lake? Such a great morning! We then pulled off to a scenic view point near Arrochar. You walked up this path in the woods and come out to this cool wooden structure. Just walk right through it (as you see in the pic) and there are stairs that you can climb up and sit, soak in the beauty, relax, and photograph it all. So stunning there! 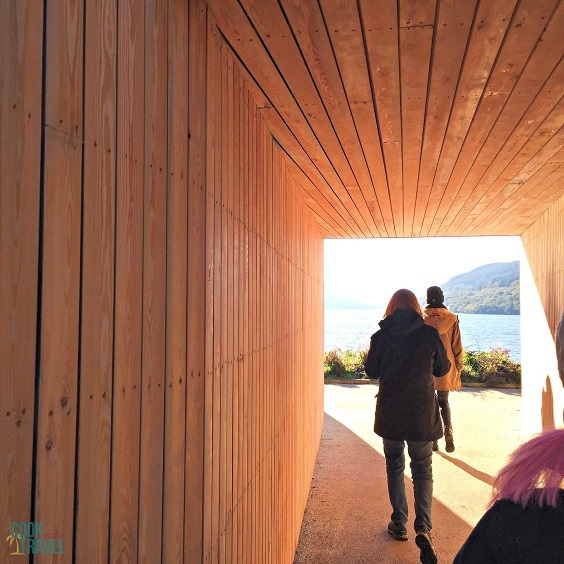 This is such a cool feature that offers a stunning scenic view point of Loch Lomond. Not far from there, we pulled off again. Our guide had us walk up another path and we saw this lovely waterfall. He got our attention and said, no keep going. 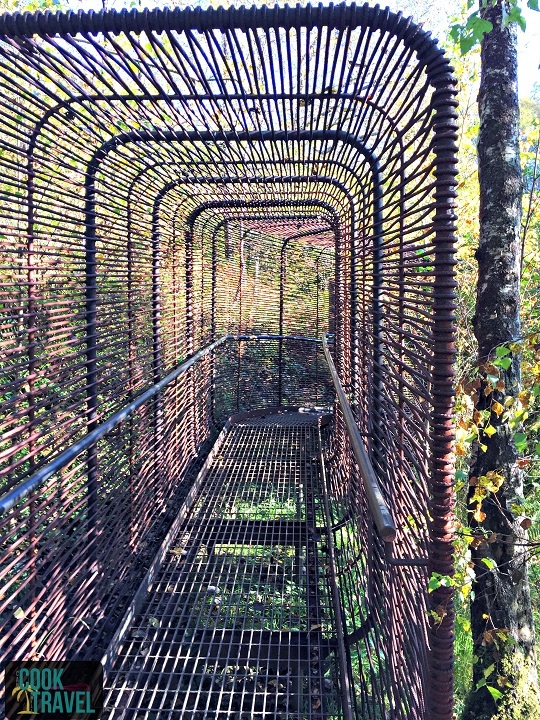 Walking through this cage winds you to a closer look at a beautiful waterfall on Loch Lomond. We got back on the path and found what is essentially a metal cage that you walk through to get an even closer view of the fall. You go a bit speechless there as you stand in the middle of nature sneaking a peek at something so peaceful and hidden. 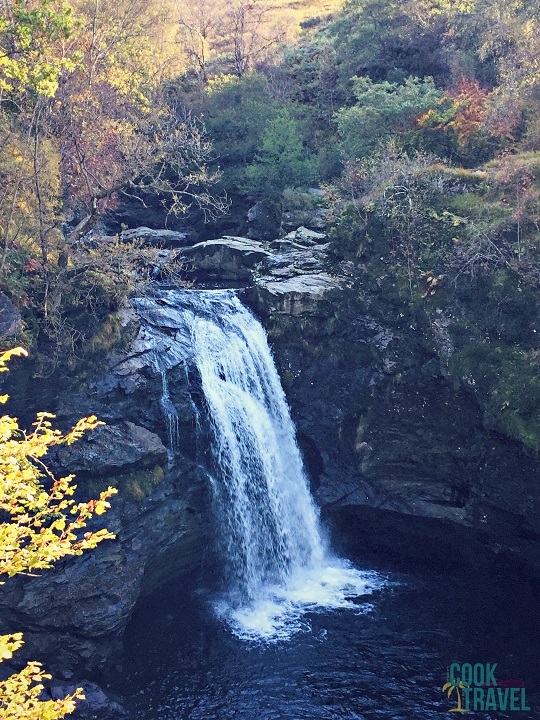 This waterfall is tucked away on the Loch and was so cool to find! I’ve always thought Loch Lomond was my favorite loch from the memories I’ve made there over 3 trips now. But we’ll keep it on the DL that Loch Awe may have just stolen my heart. It. Is. BEAUTIFUL! 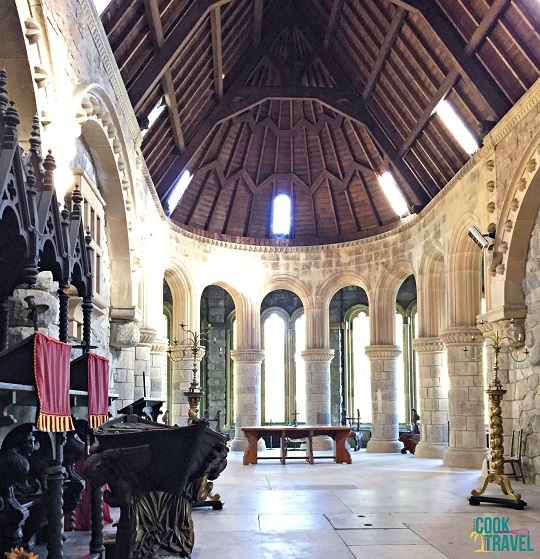 St. Conan’s Kirk was packed with architectural treasures and a gorgeous view of Loch Awe! We pulled off to see this little Kirk called Saint Conan’s Kirk, which was spectacular. 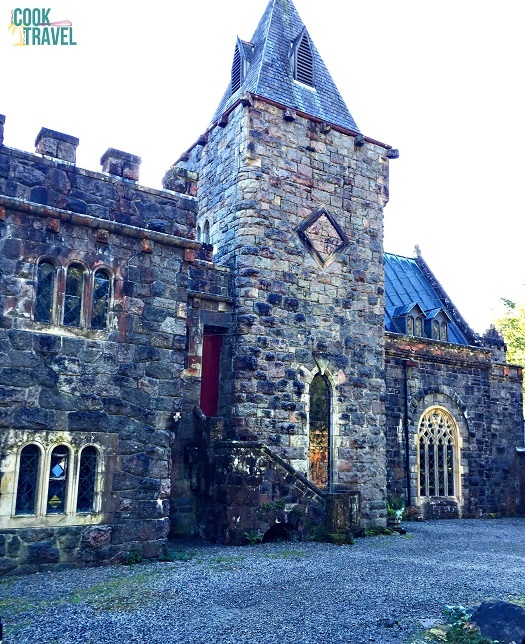 The story goes that Walter Douglas Campbell built the church for his elderly mother, who found it too taxing to drive all the way to the local parish church. There’s no specific architectural style, other than being packed with quirks and stories. As you step into the kirk, you’re taken aback by how special it is inside! I could have walked around this kirk (which is a little church) all day, if we’d had the time. There were so many architectural things to see, and the views from the side overlooking Loch Awe are nothing short of stellar. We also really lucked out on the weather for this trip, I should note. I don’t think it rained on us the entire time we were in London or Scotland! 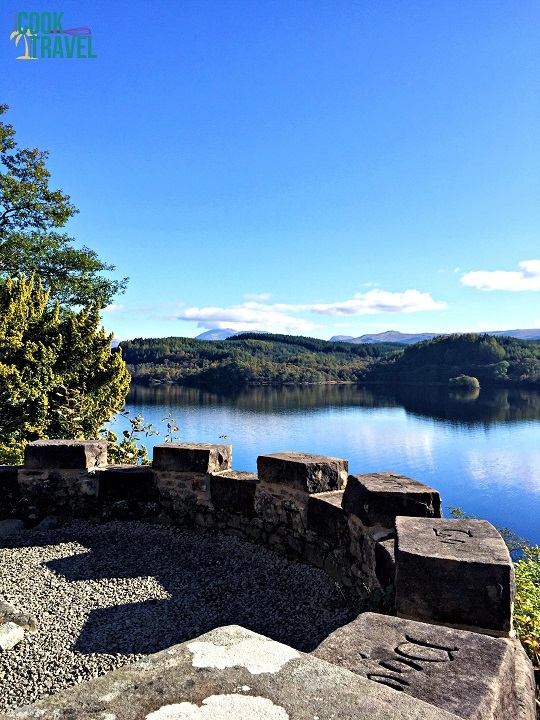 Here’s just a peek of this insanely gorgeous view of Loch Awe from the kirk. How adorable is Oban? So charming! And then it was on to Oban. Can I be honest? 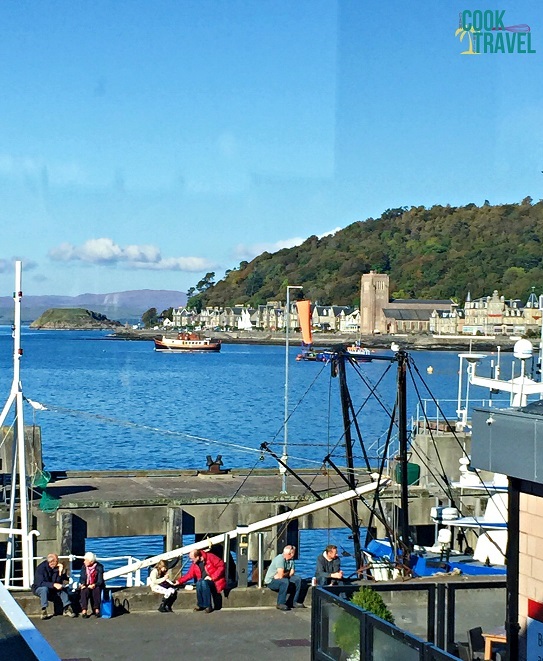 When I saw a tour that involved Oban, I insisted we had to go on it. I went to Oban on my second trip, while in grad school, to Scotland. My girlfriends and I stayed there for a day, and it just wasn’t long enough. We drove in just in time for lunch on our tour, where our tour guide set us loose to explore and eat for 2 hours. My sister and I knew seafood was a must. 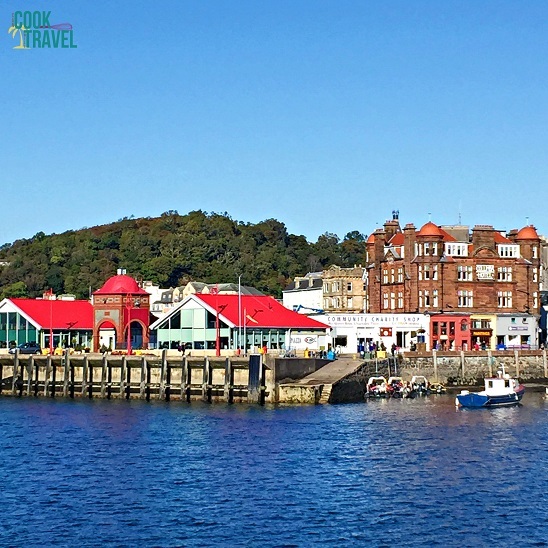 Oban is a town that sits on a bay protecting it from the Atlantic, and it’s simply put: Lovely. I wish I didn’t have to leave. If I could move anywhere in Scotland, I think it would be to Oban. It’s adorably picturesque, the people are so friendly (as all Scots seem to be), and the seafood … oh the seafood! Here’s our view from the restaurant. I could have stayed there (eating) all day! We chose the Waterfront Fishouse Restaurant, and I’m so glad we did! The restaurants sits on the second floor of a building, so you have tons of windows looking out onto the bay and the busy walkways. I need to take a moment to relive that dining experience, which was my favorite of the trip. We started with oysters that were fresh as could be and so yummy. Then came our seafood chowder that felt like someone gave me a hug in a bowl. It was creamy, filled with potato, herbs, and super fresh fish and shellfish. And finally we had seafood pasta (you had me at pasta) that was quite possibly the best salmon I’ve ever had. Orrechiete pasta, mussels, shellfish with a crispy crusted salmon filet on top. It was heaven. This was one of my favorite meals on our trip: Raw oysters, Seafood Chowder, and Seafood Pasta = One Happy Kelli! We gathered up our full selves and headed back into the world to take in the city for the hour we had left. We walked about, took tons of photos, and I happily imagined what it would be like to see these views every day. I’d be one happy girl! I had forgotten we had one more stop to Inveraray left on our tour. We’d seen so much and had a great time, that it was awesome we had another town to see! Not only does Inveraray have incredible views, but it’s pretty adorable with its black & white themed town architecture. Our group opted out of visiting the castle so we could walk about the town instead. So glad we did. First of all, Inverary is so interesting. One story our guide told us was that all of the buildings and homes in Inveraray have to be black and white … it’s a city ordinance. This goes back to the fact that this town was planned out before it was built, and the builders were told to stick to the plan (no deviations), and the plan was drawn in black and white! My sis and I walked about and we stumbled upon the most adorable Christmas shop in Inveraray. We probably looked like crazy people as we filled our arms with ornaments. Then looked at each other, laughed, and put some back (but not too many)! We walked away with a gaggle of Christmas ornaments for us and our family. I’ve been sharing some of them on my Instagram feed for my 12 Days of Christmas Ode to Ornaments series! This is one of my favorite photos I took on our trip. Talk about serene! We met up with a couple of the people on our tour and stood by the river and it couldn’t have been more picturesque there. Boats were docked, birds were flying, and the sun was slowly setting … all of this created some of my favorite photos of our trip. I can’t say enough about this lovely tour! Water, water, everywhere, and I loved every second of it. 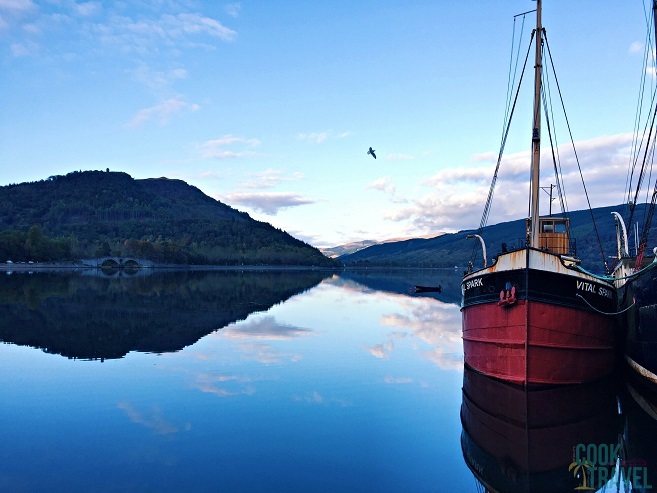 If I could teleport, I have a feeling I’d find myself back at Oban and the lochs quite often! I hope you enjoyed reading about this series as much I loved writing it! Here’s to the next adventure around the corner and perhaps another day trip to Oban! Stay inspired & go to the water!